Henry Holden acquired the Eagle Brewery in Longport from Charles Small circa August 1868. 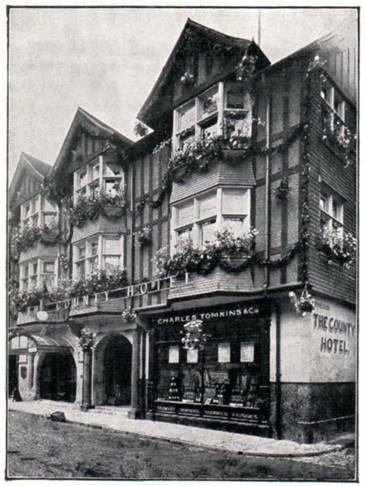 When he died in 1893, the business was taken over and run by his son, Sidney, born 1862 in Suffolk. By then the business had begun to produce mineral waters and in an 1884 trade directory it was listed under “Soda Water & Lemonade Manufacturers” as well as a brewer. By 1889 it is shown only as a mineral water manufacturer. Sidney Holden retired circa 1927, though the business continued in operation until it was destroyed by bombing in World War 2 together with a large part of Longport (including most of the nearby Technical College). The goodwill of the company was taken over by the Star Mineral Water Co. Ltd, of Whitstable, but the factory was never rebuilt.